In this month of Halloween and the day of the dead I thought it was appropriate to introduce a splendid cemetery, that I happened to pass by recently. 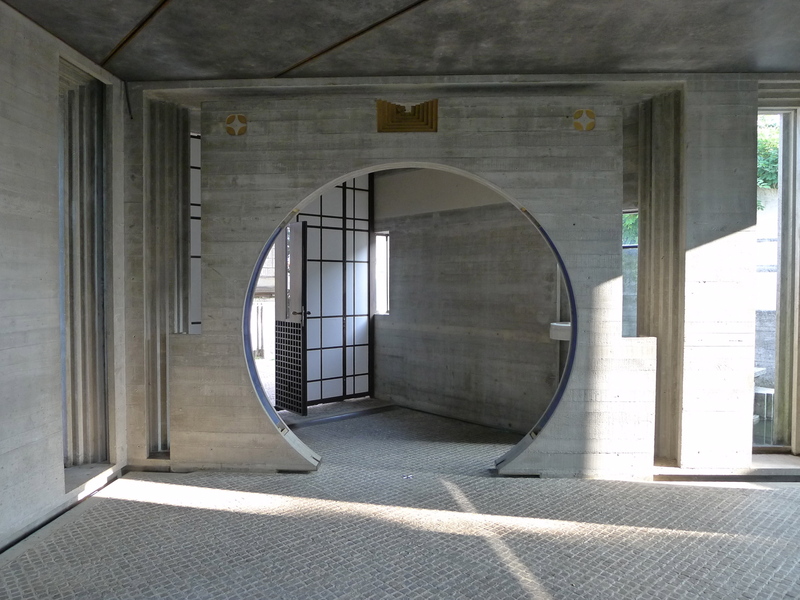 The Tomba Brion monument, in the small town of San Vito in the province of Treviso, Veneto, is the last work of Carlo Scarpa. 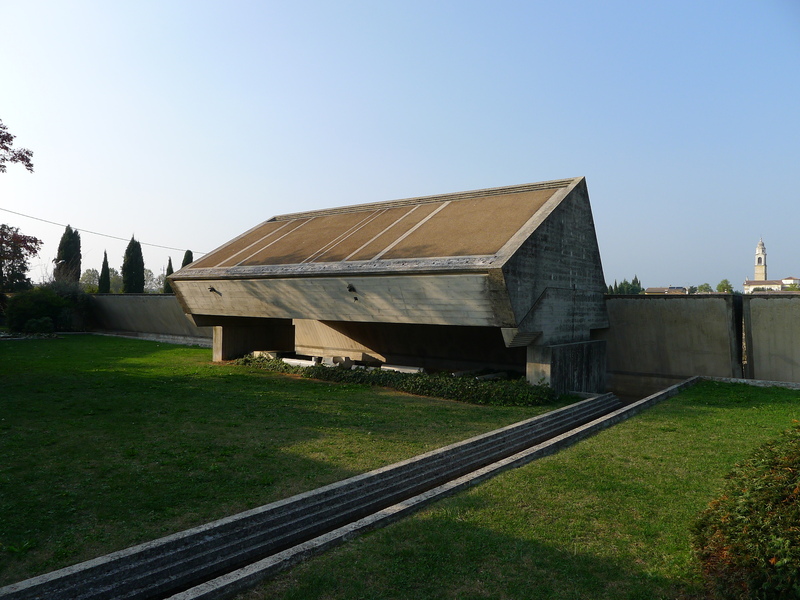 It was built between 1970-1978, and in that last year Scarpa died, in fact he is buried there. 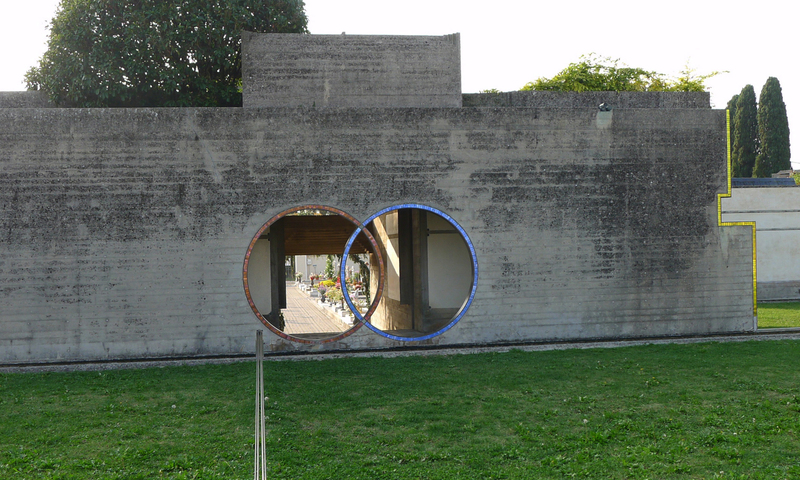 The monument is next to the local cemetery from where you can enter (see image below with the two rings that offer a view between the two) -it also has a seperate entrance. 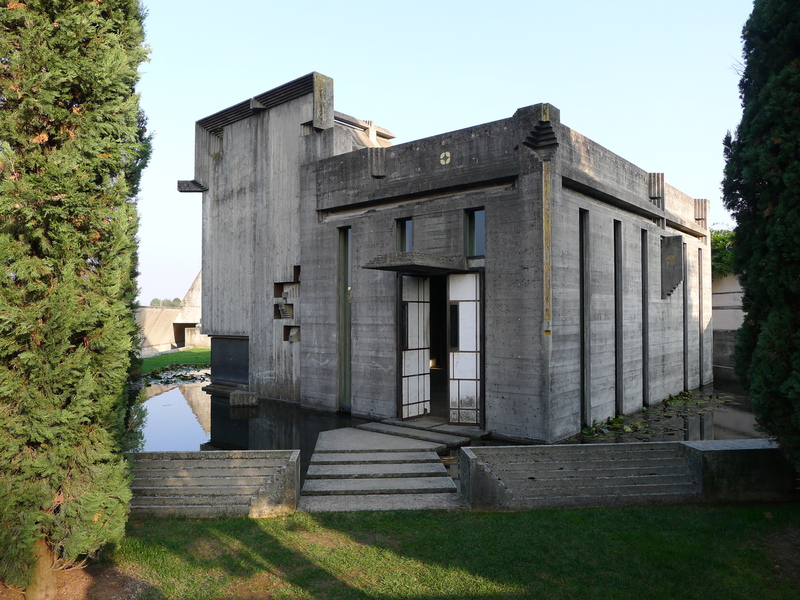 The complex is in a walled garden and consists of a small church, a chapel, a pavilion on the water and a sarcophagi created for Scarpa’s the client Onorina Brion Tomasin, and her then deceased husband Giuseppe Brion. As in many late works of the highly accomplished, it is full of wonders. 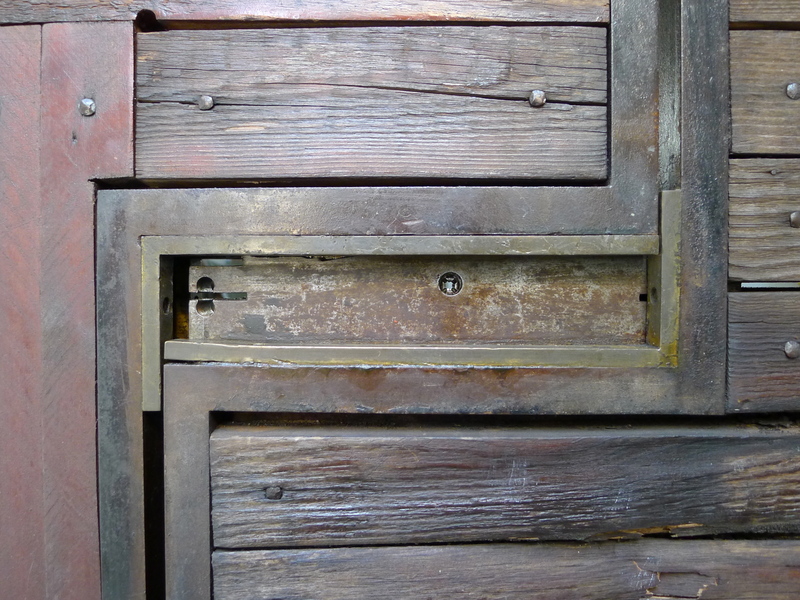 Every detail is a lesson, and here there are lots and lots of details. Being there is quite exciting (well, for a detail-nerd at least! 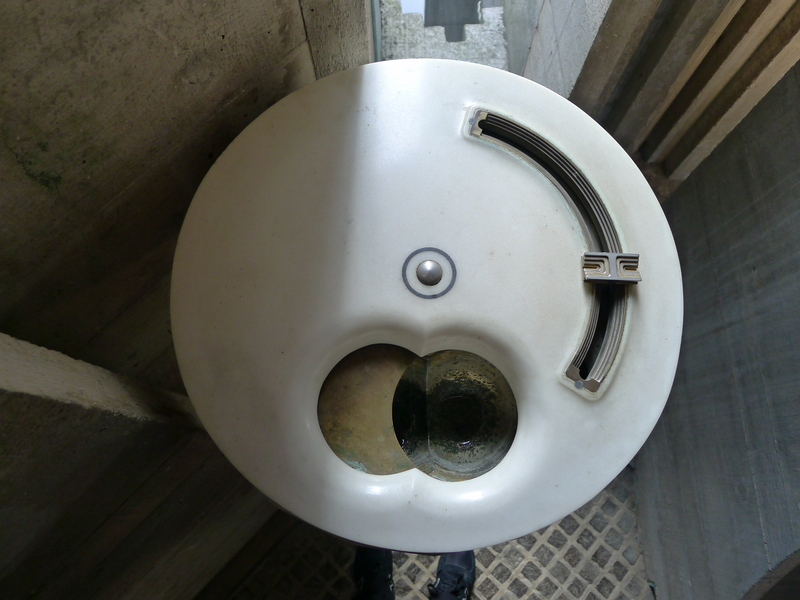 ), as in the Olivetti shop (https://socialskillsarchive.wordpress.com/2012/10/18/retail-therapy/) there is much to see and to touch and walk through and move and appreciate in general. As explained and shown in the images above, this abundance in the project can be experienced by the architect, as being a child in a toy shop. 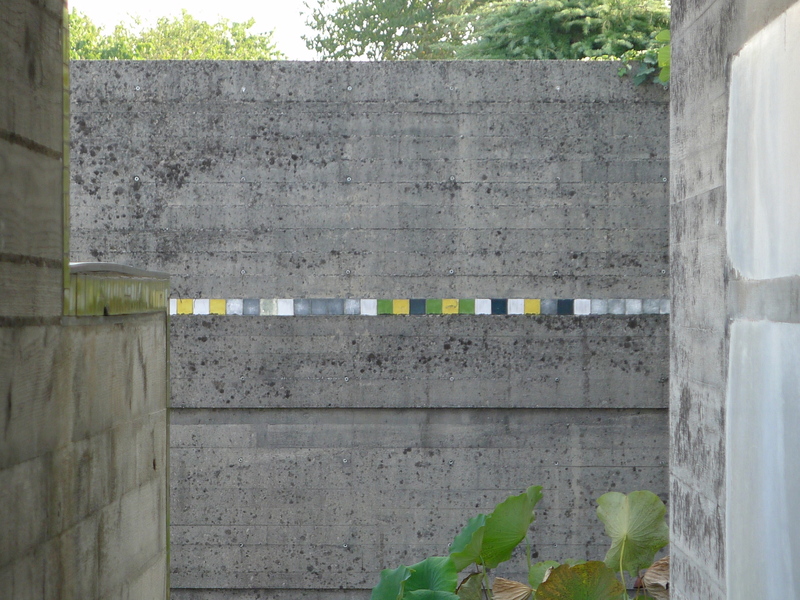 There are so many ideas to collect – so much to learn from the different elements and combinations that are imbedded in this, Scarpa’s last work. 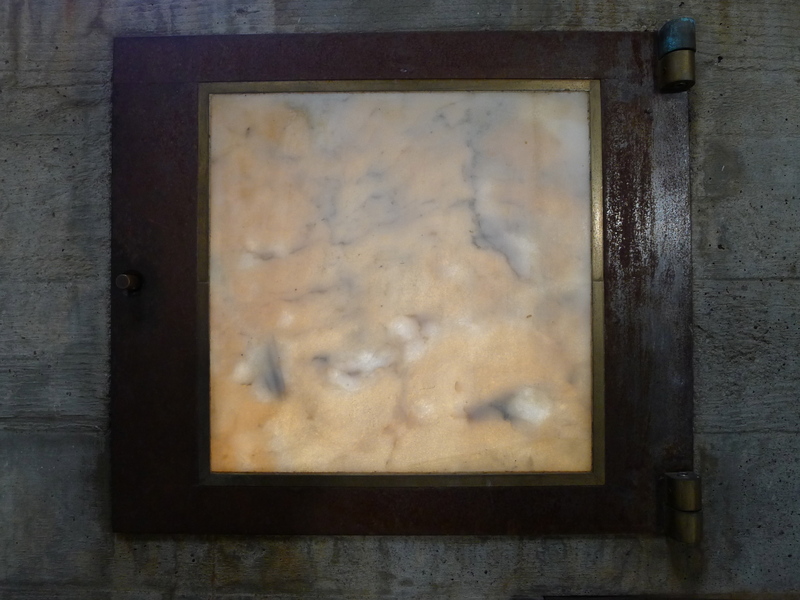 But as I discussed later with a friend, when you digest it and process it, after leaving it behind, you start to think about other aspects of the project. As a whole, it is almost overwhelming. It is like a small city, full of different elements – several projects in one. Of course the clients may have demanded a certain expression of their stature and wealth and it does stands out dramatically against the town cemetery that lies besides it, where the bones of the less privileged lie. 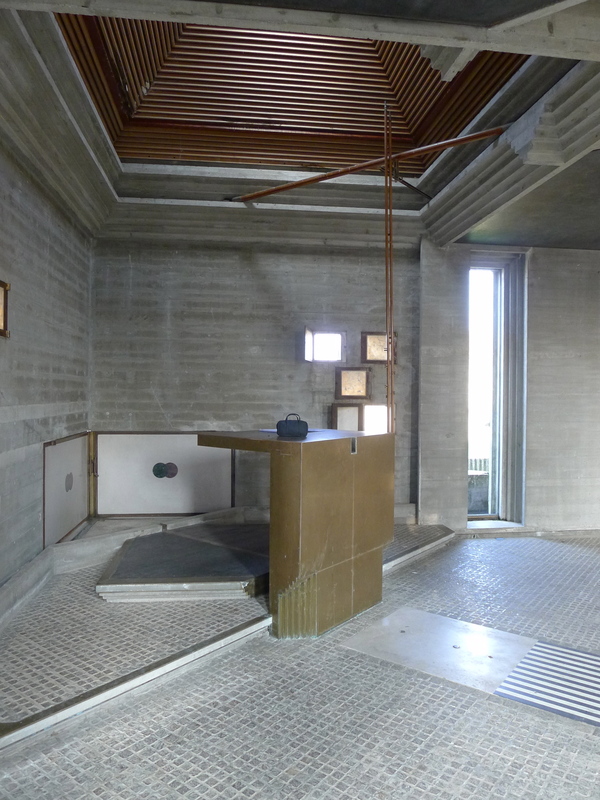 The monument is so complex and rich in material and details that it is quite overwhelming, there seems to be material for several projects and themes in it. 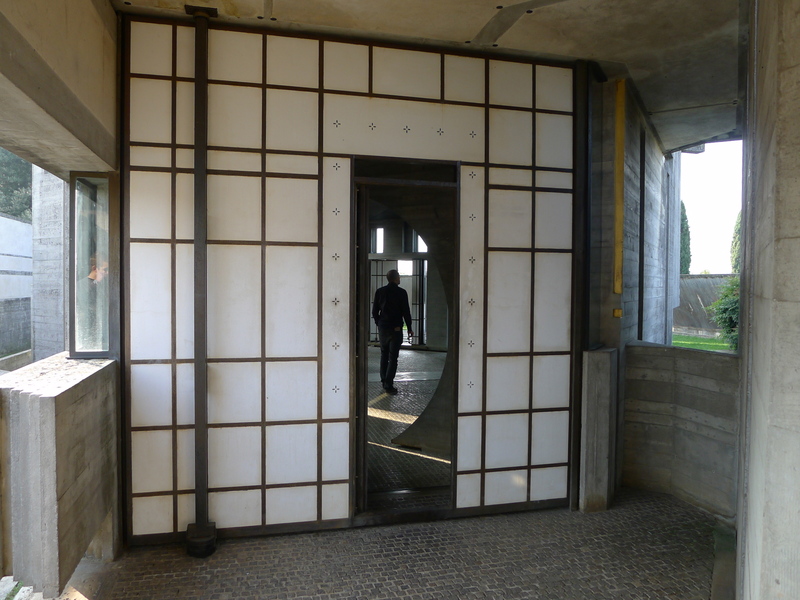 It is of course impossible to know what the frame of mind Scarpa was in when designing the Tomba but I wondered if at 72, he felt like he didn’t have that many working years left and felt like he still had a lot to say. Indeed here there are many beautiful poems and ideas and the way he mastered his craft is evident. 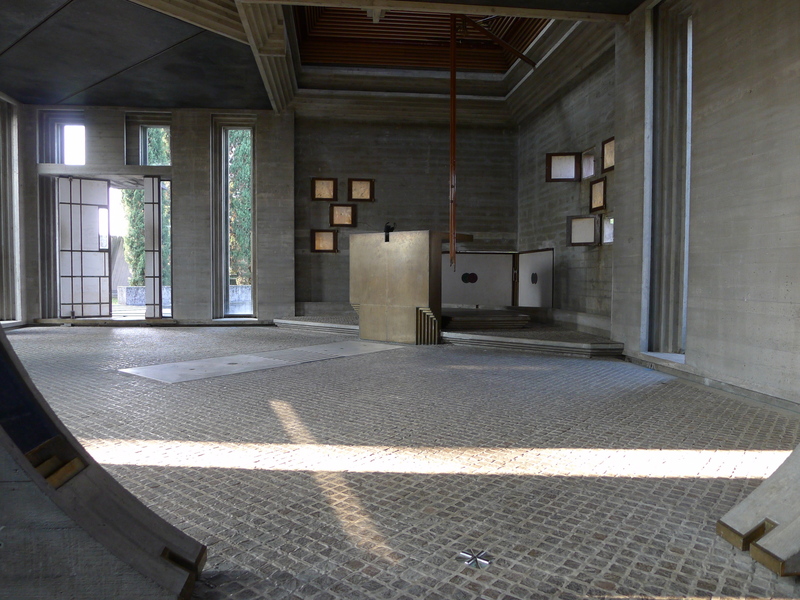 But comparing it to the garden in the Querini library in Venice for example, where one articulate gesture becomes very strong, here I felt the complexity was a weakness. The elements, although all wondrous things, in the enclosure feel almost trapped, like they are competing against each other. Brilliant article. 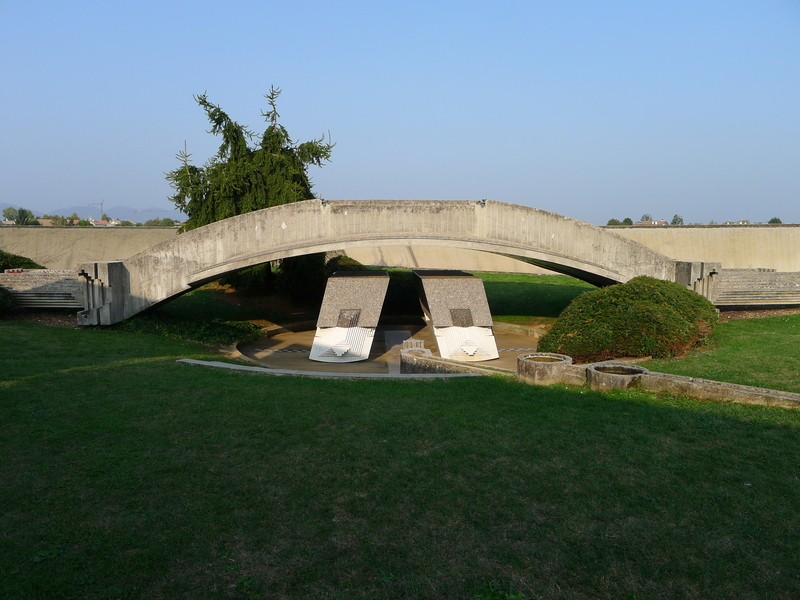 when I was there I thought the view from outside the walls were quite interesting – almost like a space ship has landed in the Italian countryside! 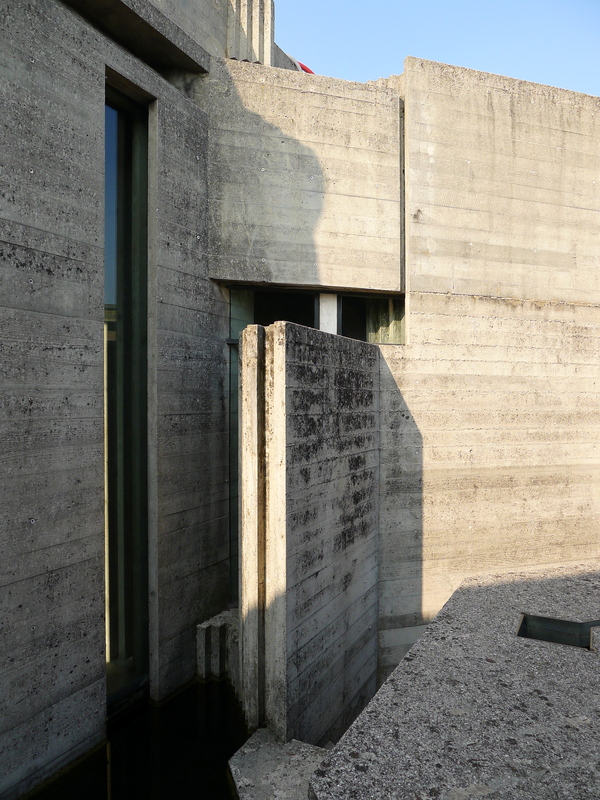 I loved it’s play on excess…and yes it is a bit suffocating at sometimes but maybe that’s Scarpa’s view on life and death, that anything can manifest within closed walls and logic turns into chaos. 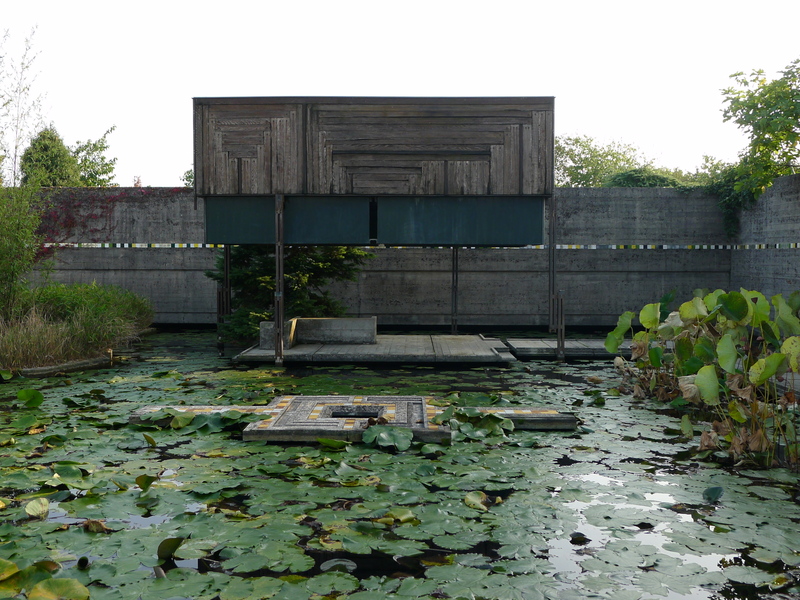 Actually I also liked it because as a cemetery there’s a lot of life in it – the fishes in the pond, the sarcophagus with bevelled bottoms suggesting movement, the stepped details going around like racing stripes (or suggesting tidal cycles one might say)…it’s a place for the dead that is not static.